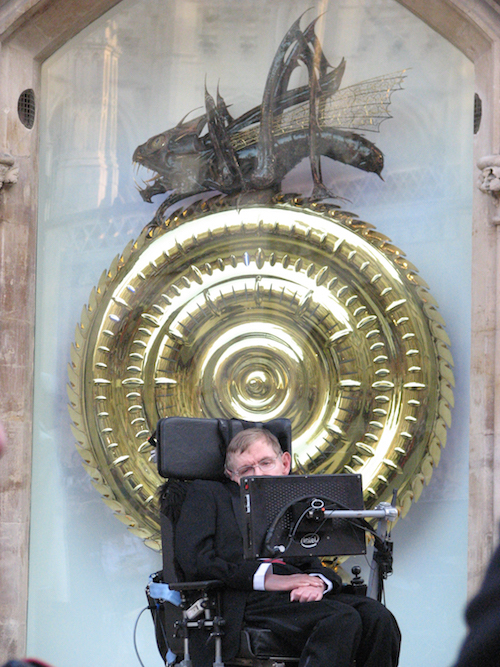 Stephen Hawking: "Philosophy Is Dead"
Hawking’s assertion is philosophy, so he refutes himself. His philosophical musings are notoriously sophomoric, so it’s not clear exactly what he means. To properly refute himself, he would have to muster sufficient philosophical rigor to make a proposition that can be true or false. Such rigor seems to be beyond Hawking’s intellectual powers. Perhaps what he means is that metaphysics has not kept up with science, which is just a conceptual jumble. The metaphysics of Aristotle and Aquinas is far and away the most successful framework on which to understand modern science, especially quantum mechanics. Heisenberg knew this. Aristotle 2,300 years ago described the basics of collapse of the quantum waveform (reduction of potency to act) and Aristotelian final causation remains the only coherent way to understand evolutionary change — the most dramatic example of final causation in biology is convergent evolution. The Big Bang was foreseen by medieval philosophers (who argued that the universe could not be infinite in the past) and of course by theologians. In quantum mechanics, cosmology, and evolutionary biology, scientists are just catching up to over two thousand years of philosophical and theological insight. Scientists understand the philosophical framework of their technical labor. Technicians crunch numbers and tinker with instruments, with little insight into the philosophical basis for their calculations. Atheist technicians like Hawking are poor imitations of the great scientists of the scientific enlightenment and the great pioneers in modern physics — vanishingly few of whom were atheists. Real scientists do more than play with equations and tinker with instruments. Real scientists have a meaningful understanding of natural philosophy as it relates to their work. No atheist scientist in the public spotlight today would pass a freshman philosophy class. Think Dawkins. Think Krauss. Think Myers. Think Moran. Think Novella. Think Coyne. Think Hawking. Our 21st-century scientific priesthood — mostly atheists and materialists to the extent that their metaphysics is coherent enough to be described — is dominated by half-educated technicians with publicists. Atheists like Hawking believe that the universe ultimately makes no sense and has no purpose. Why should we ascribe purpose or sense to their own half-educated musings? Image credit: Flickr user rubberpaw. [CC BY-SA 2.0], via Wikimedia Commons.